Nevada USHCN Station Surveys are done | Watts Up With That? Thanks to the work of dedicated volunteers, we continue to complete surveys of the 1221 USHCN climate stations in the USA. Last week thanks to a business trip, I was able to complete the final two stations in Nevada: Wells, and Austin. With the exception of ASOS stations at airports, most USHCN stations are within a half mile or less (in some cases like Mina, less than 100 yards) from major highways and Interstates. Even the most remote stations, such as Austin, are within a few feet of a building. All stations in Nevada are very near some type of human influence. With the exception of some Stevenson Screens/mercury thermometers used as a backup all USHCN stations in Nevada have primary instruments converted either to MMTS or ASOS systems. As you can see in the map above, there is a vast area not covered by USHCN stations. Boulder City and Wells have closed in the last five years, but I surveyed them anyway to find out where the sensors had been placed. 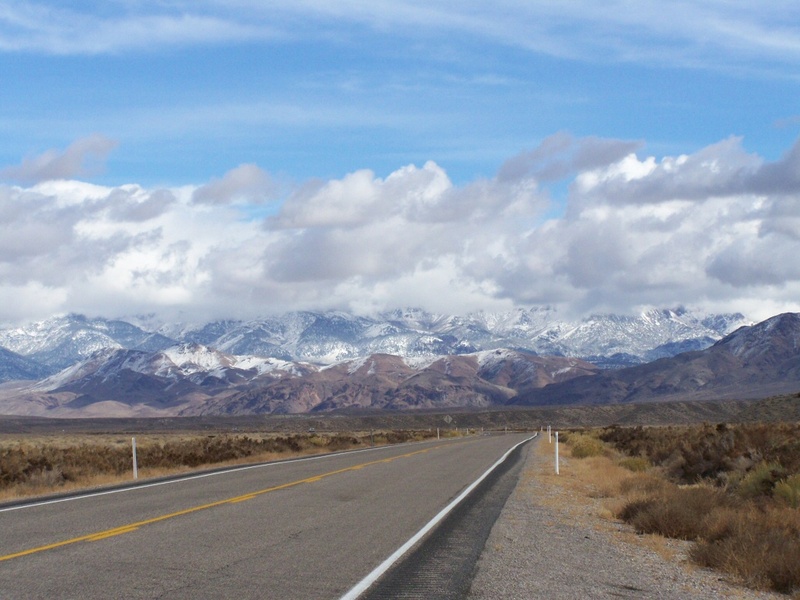 The Nevada Department of Transportation has an extensive network of automated weather stations with better coverage than USHCN, but most of the data is short term and in all cases, measured within 50-100 feet of the roadway. US 50 "The Loneliest Road in America"
Nevada was one of the toughest states to complete, due to it’s size and the remoteness of some stations such as Austin, which is an old mining town along the “loneliest road in the USA”, US 50. Volunteer Russ Steele surveyed a good number of stations last summer, Craig Limesand got Golconda, Chip Edin did Battle Mountain, and I surveyed the remainder. So even with the tedium of driving, there is always something new and interesting to find. November 16, 2008 in Fun_stuff, Weather_stations. Ummmm. Thanks for all your selfless work. I’m beginning to suspect that the GW phenomenon is manmade after all. DUH: man made global warming. However it turns out, it appears (to me, a non-scientist) that you are uncovering some significant deficiencies in a system unquestioningly relied upon by researchers and policy makers. Ellen and I were glad to help. It was a lot of fun hunting for stations, a GPS aided treasure hunt. Sorry we by passed the Wells site when we passed through Well this summer. It was closed in 2004 and on private property, so we breezed right by. I am hoping we can pick up some of the Idaho sites this coming summer. My book on Cobalt mining in Idaho will be published next month and we are planning book tour next summer in Idaho, depending on the economy. FARGO, N.D. — The Agriculture Department says rain and snow halted row crop harvest progress. The agency says in its weekly crop report that some farmers don’t expect to get back into the field until next spring because of heavy snow and rain last week in North Dakota. The agency says the corn harvest was 23 percent complete, compared with 88 percent last year and the long-term average of 81 percent. Although Moniz would share the 1949 Nobel Prize in medicine for his pioneering work in psychosurgery, the lobotomy had not only fallen out of favor by the 1950s but was being excoriated as a barbaric practice. The Soviet Union banned the surgery in 1950, arguing that it was “contrary to the principles of humanity.” Other countries, including Germany and Japan, banned it, too, but lobotomies continued to be performed on a limited scale in the United States, Britain, Scandinavia and several western European countries well into the 1980s. (c) Third: OTOH, The Goreacle does need some form of recognition that will out-live him. I propose “The Gore Minimum”. Tell Your Friends. (d) Finally: HUGE PROPERS to Anthony for his selfless work in documenting the circumstances of USA weather stations. Too bad the (nominal) scientists responsible aren’t as diligent. One corollary thought: with so many stations located within a few meters of buildings, I wonder if there exists a correlation between total installed A/C capacity and the rise of average temperatures? Intuitively at least the rise of temperatures correlates pretty closely to the rise of air conditioning, particularly in government and public buildings (which in the South started in earnest in late 1950’s/early 1960’s). Just a thought. Anthony, many of us are waiting for the analysis of climate (temperature) trend by station rating. REPLY: I’m waiting to get at least 75% of the stations surveyed, plus some significant infill in Texas, OK, KS, NE, AR, AL, and MS. The idea that human beings have changed and are changing the basic climate system of the Earth through their industrial activities and burning of fossil fuels—the essence of the Greens’ theory of global warming—has about as much basis in science as Marxism and Freudianism. Global warming, like Marxism, is a political theory of actions, demanding compliance with its rules. Marxism, Freudianism, global warming. These are proof—of which history offers so many examples—that people can be suckers on a grand scale. To their fanatical followers they are a substitute for religion. Global warming, in particular, is a creed, a faith, a dogma that has little to do with science. If people are in need of religion, why don’t they just turn to the genuine article? 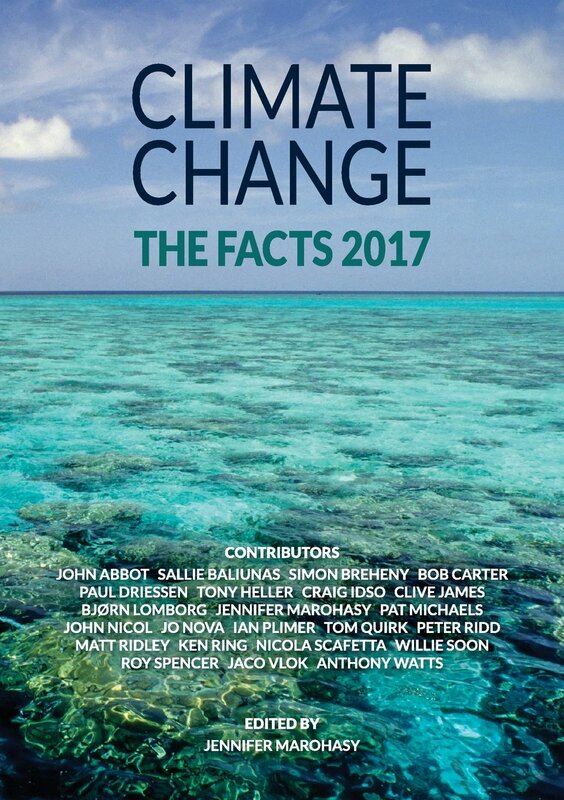 Climate change knows three realities: science reality, which is what working scientists deal with every day; virtual reality, which is the wholly imaginary world inside computer climate models; and public reality, which is the socio-political system within which politicians, business people and the general citizenry work. The science reality is that climate is a complex, dynamic, natural system that no one wholly comprehends, though many scientists understand different small parts. So far, science provides no unambiguous evidence that dangerous or even measurable human-caused global warming is occurring. The virtual reality is that computer models predict future climate according to the assumptions that are programmed into them. There is no established Theory of Climate, and therefore the potential output of all realistic computer general circulation models (GCMs) encompasses a range of both future warmings and coolings, the outcome depending upon the way in which they are constructed. Different results can be produced at will simply by adjusting such poorly known parameters as the effects of cloud cover. The public reality in 2008 is that, driven by strong environmental lobby groups and evangelistic scientists and journalists, there is a widespread but erroneous belief in our society that dangerous global warming is occurring and that it has human causation. weather stations? Seems to me, NOAA should have been doing this. Thank you Anthony! Great work, Great blog. Anthony, I took pictures of one of the whitewashed temperature boxes at the Lake Mead welcome station in Boulder City, NV on this past Saturday. It is a different location than the one you mention in Boulder City, and so, I assume, not a USHCN site. My picture shows that it sits adjacent to the parking lot, and was shaded by three large palm trees, until very recently judging from the sawed off trunks and debris. I’ll be happy to send them along if you want. Red State Blue State – Dot’s Up With That? Still do not know, but would like to…? I’d really like to see the inferences layer removed and get to meaningful facts. Do you need volunteers in the southeast to check out weather stations? I’m a geologist and work for a consulting company. This has me traveling alot throughout the southeast (I’m based in Charleston, SC but I’m working at NAS Pensacola, FL for the week, for example). Let me know if you need any help in this area. 1. Yes, the station appears to be a substantial distance from any population centre – this is a Very Good Thing. 2. Yes, it sits within 25 feet of US 50. Lonely or not, the road is made from a material that absorbs heat energy during the day, then re-emits it at night (broadly speaking), and as 25 feet is a quarter of the recommended distance, then it’s likely this will have an adverse effect on temperature readings. 3. We can’t tell if it could provide “proper temperature information”, as it appears to be badly maintained. If we can’t rely on all parts of the weather station working as they should, we can’t rely on the temperature readings, can we? Great posts on the “secular religion” element in AGW particularly by ed scott! The curious thing to me is that AGW supporters apparently believe that Man is God-like (in that he can substantially alter the climate) yet every fervent AGW supporter I have met are Godless (by the definition of ANY organized religion). White People are so strange. I hope they don’t take away the woodstove in my woodshop, looks like we’re gonna get an early and deep winter this year. My people have been REAL environmentalists for three generations (my grandfather was a forester, “father of the town forest” and on the committee that created Yellowstone National Park.) I myself MAKE MY OWN DIRT for gosh sakes in one of those “cadillac” 3-bin composters I built from scrap wood. Frankly, we are flummoxed by this AGW crap. NBC is purchasing Carbon Credeits to offset the travel of the correspondents et al they are sending to the ends of the earth. Last time I was on Kilamanjaro (1999) we had to pack everything out. There’s nothing fun about carrying your doo-doo down that mountain. Anthony I have no idea how to email you but the following is very interesting; an email from Harrison H. (Jack) Schmitt of Apollo 17 to The Planetary Society. 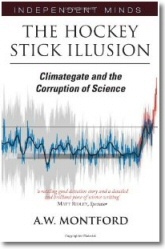 Toward the end (about 75% thru) is his take re AGW. Seems to me that most of what I have read from astronauts, the people whom NASA correctly deemed as the best and brightest, generally don’t buy in to the consensus thing. Which to believe: The scientist’s satellite data or the sorcerer’s computer algorerithm generated data? For 30 years, Professor Christy has been in charge of compiling and analyzing data from NASA’s eight weather satellites, which daily take more than 300,000 temperature readings around the globe. The data show today’s average global temperature is the same as it was in 1979. 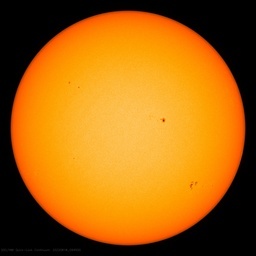 An unambiguous cooling trend since 2004 has corresponded precisely with a period of reduced solar activity and radiance. I have a question. I understand that measuring temperatures close to buildings leads to a higher temperature than a station in the middle of nowhere. Measurements close to roads also have problems I think because of heat reflected by the ground. So my question: is it really better to measure temperatures only in remote locations? Temperatures in cities, close to roads, etc. are also surface temperatures. They are affected by human activities, and then? If humans were heating the world by burning fires in every place, what would be the meaning of a temperature far from the fires? My question also contains another one: in the observed warming, which part is supposed to be due to GGs and which could be due to “direct” heating of the atmosphere? I mean, if all the GGs remained constant and if we continue heating our homes with another source, wouldn’t the global temperature also increase? Scare-Mongering on Steroids: NBC Warns Oceans Could Rise 200 Feet! Kicking things off during half-time of last night’s NBC Sunday Night Football, Meredith Vieira put Al Gore’s alarmism to shame. Climate-related sea-level changes of the last century are very minor compared with the large changes in sea level that occur as climate oscillates between the cold and warm intervals that are part of the Earth’s natural cycle of long-term climate change. Anyway the “auditor” can be audited? Is there a place where these reports can be reviewed on-line combined with more than just 1 picture? E.g. one where one can see the station with road in background? Do the stations have on line maintenance record by the owners? How do the data vary from the RSS/UAH records? It is distressing to see what is about to unfold, however with a good end in sight. 1) No new coal burning plants. 3) Embracing of non workable alternatives. 4) Inevitable results of brown outs, increasing energy costs, slower economic growth, higher unemployment, etc. 5) Continued discrediting of AGW models. China and India will continue to pump carbon into the atmosphere and the models of AGW will continue to fail. 6) Public becomes aware of consequences of following policies of environmentalists. Believe it or not, this implementation of AGW polices will be the Vietnam of the environmental movement. It will have all the characteristics we saw with the Vietnam war. False model for basis of policies (remember the old domino theory of SE Asia?). Ineffective tools, alternative energy sources do not work (more on that later), just as carpet bombing, agent Orange, etc., etc. did not work in Vietnam. Misleading propaganda from MSM. We can see that at work already as reporters have become advocates of AGW. Suppression of news sources contradicting the official story. Am reading the book Terrestrial Energy by William Tucker. A must read for anyone interested in the economics of alternative energy. I disagree with the author on his take on greenhouse gases, but this is an excellent source of information on the alternatives we have as a society. I will quote parts of the book from time to time, but he does a kill piece on biofuels, wind farms, solar and so forth. He is a strong advocate for nuclear energy, which does make sense no matter what your views are on AGW. The bright side of all this: the policies of AGW will be thoroughly discredited in the next 4 to 8 years. It will be the energy policies of Jimmy Carter all over again, perhaps worse. But, people will be thoroughly sick of any discussions about wind power, solar power, or any of the other unworkable alternatives to oil, coal, or nuclear. Just as the end of Carter’s policy on freezing gasoline prices led to a rapid recovery, so will the end of the upcoming policies lead to a rapid recovery of energy production. Anthony’s work here is part of the discrediting process. People are going to ask why we went with AGW policies. We were misled by faulty measurements will be part of the answer. A large part of the faulty measuring is simple neglect of our field instrumentation. IF the earth is warming b/c of greenhouse gasses in the atmosphere, then the remote locations (away from human activity) will show increases in temperature. IF these remote locations do not show increase in temperature, then warming is localized and a result of concrete/asphalt/buildings etc. I am neither a geologist nor an atmospheric scientist, but I do know that reducing the amount of CO2 in the atmosphere will not affect the heat from an asphalt road. Got down 46F last night in Tampa, FL This global warming stuff is really amazing. I think you are correct. I believe America must try this alternate energy route, before the people realize that they have been terribly misled. Your comments give some reason for optimism in the long term. Temperatures will drop to around 39 degrees Tuesday night, with a daytime high on Wednesday of 64. Apparently weight training does not develop the brain. SAN FRANCISCO (Reuters) – California Gov. Arnold Schwarzenegger on Friday ordered preparations for rising sea levels from global warming, a startling prospect for the most populous U.S. state with a Pacific Ocean coastline stretching more than 800 miles (1,290 km). The best leading indicator of sea level rise, is the fact that Al Gore bought an ocean front condo in San Francisco. From this, I would deduce that there will not be a short or medium term, catastrophic rise. Not sure how to get this to Anthony but I saw this and wanted to send it to you for disemination. EPA has issued an ANPR (Advance Notice of Proposed Rulemaking), detailing how they would control CO2 as a pollutant under the Clean Air Act (see Item #1). Comments are due by Nov 28. Anyone can submit his/her own comments or join a generic Comment. Contact Marlo Lewis at mlewis@cei.org. Or, alternatively, perhaps some of the more mathematically inclined on this blog could put together a copilation of statement’s similar to George Smith’s, etc. and I’ll sign one from the WUWT blog. I’d also send it to all my federal and state legislators. I’m intelligent enough to comprehend the majority of what is being discussed on this blog, but would rather it be summarized by folks with more expertise. Great survey of the USHCN! Typical of stations that are found next to hot air situations. If CO2, man-induced and the huge amounts resting in the upper troposhere, why aren’t the temperatures higher than they are? Answer: Science 101, “what goes up comes down.” Oxygen molecules are heavier than carbon, two oxygen more than carbon, thus a decent back to Earth erntering the carbon cycle. Something that James Hansen refuses to accept, NASA satellite Aura found that water vapors dominated the lower troposphere and had a profound affect on any CO2 in the atmosphere. Thus, the cyclical temperatures. This December, NASA is launching a new satellite to measure water vapors in the upper troposphere and will measure CO2 at that level. The heavy broadband of water vapors have a profound effect on CO2 forcings. With this fact, the NASA upper troposphere survey should indicate the lack of concentration of CO2. So even on the UFO highway, land of a lonely Spaghetti Western mournful aire, most stations are corrupted. Must be a similar situation for Arctic land based stations. Maybe not a road problem, but a structure problem. 1) Thanks again for the hard work. Hampshire weather stations for you. Interesting link. His comments about AGW confirm what many in these sceptic forums have been claiming for years. Yet another bullet through the heart of consensus. Hope to hear more about it. I looked into those Nevada roadside weather stations a couple of years back. The data from them are available online by the way. Their main purpose seems to be more to do with determining road conditions, mainly icing in winter, than anything else. They are operated by the transportation dept which is why they are located so close to the road. I believe they have to be sited within the right of way or easement allowed to the transportation department else they would have to puchase/lease property on which to site the things. They aren’t designed for climate survey. 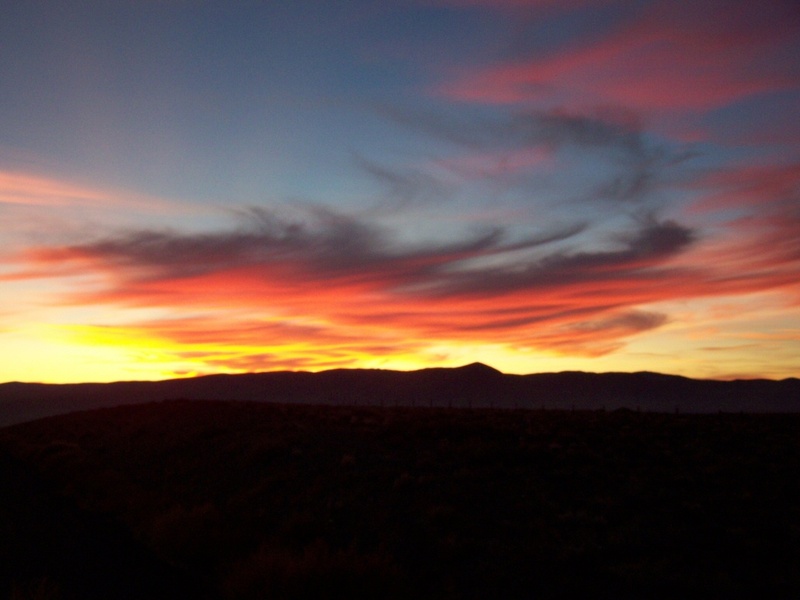 The weather in Nevada can be quite variable, particularly in winter. It can be 70 degrees in Reno while people are putting on snow chains 50 miles North on 447 headed toward Susanville. I think the idea is to be able to get an idea of where road conditions are bad or likely to turn bad so that appropriate mitigation (sand/salt trucks, change chain up signage, etc) measures can be taken promptly by the transportation department. IF THE ADVANCE publicity is anything to go by, Not Evil Just Wrong will do for Al Gore what Michael Moore’s Fahrenheit 9/11 did for George W Bush. McElhinney and McAleer have raised almost $1 million (€799,000) but need a total of $4.5m (€3.6m) to allow for a full cinema release. They say they were acutely disappointed at being turned down for funding by the Irish Film Board, especially its conclusion that it was “repetitive and creatively thin”. Instead, they have gone onto the internet hoping to solicit donations in the style of Barack Obama. The finished product will be around 90 minutes long. Both film-makers rebut the Film Board’s criticism by pointing out that a near-complete version of the film has been chosen in the audience category at the Amsterdam Film Festival later this month. Do McElhinney and McAleer themselves reject climate change, reject the need to cut down on our dependency on oil? “The idea that CO2 causes climate change or causes global warming – let’s keep it clear – is not settled,” says McElhinney. “The idea of dramatically altering the way we live would be a mistake until more information has been gathered.” Both believe that there is no panic, and that the world has 300 years (until coal is exhausted) to come up with alternative sources of energy. Congratulations Anthony, just heard Brit on Fox News mention Watts Up With That regarding “the warmest Oct. on record”. Link is broken, has to have “fault.html” added at end. This is probably a repeat of their other “scientific” expeditions. Click the icon at the top of the page just below the title. The one that goes to http://www.surfacestations.org. Explore to your heart’s content. When you get to the gallery on Austin, NV, you will note that the USHCN site is located in the midst of the town of Austin. 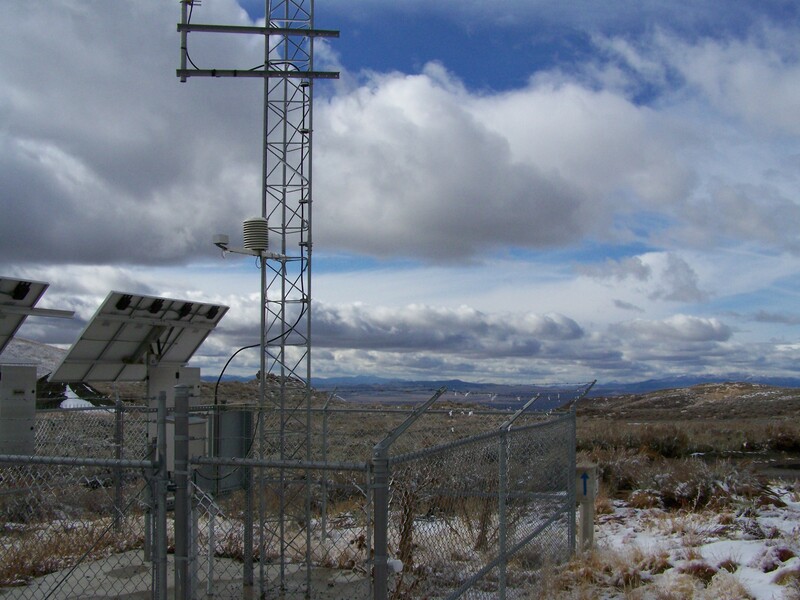 The roadside weather station shown is one maintained by Nevada DOT, as mentioned by Anthony in the post. Granted I’m working from the position of not seeing the world from your perspective, but what inference layer are you referring to? The inference perhaps that you are focusing on a NDOT road weather information system (RWIS) station that is not in the USHCN? Or the inference that it constitutes something “new and interesting”? I’m curious what it is that, from my perspective, is getting your knickers in a knot. Just a typo – there shouldn’t have been a space in “de fault”. Fixed above and here. Flanagan said: Temperatures in cities, close to roads, etc. are also surface temperatures. They are affected by human activities, and then? All true. But those things have NOTHING to do with CO2 induced warming, which is what we’re trying to figure out…. So my question: is it really better to measure temperatures only in remote locations? The trouble is that only 3% of the lower US is urban and even less of that in the RoW. But the stations are far, far more likely to be in urban areas. 1.) Not only are urban areas (a lot) hotter, but they exaggerate warming trends [sic!] as well. 2.) Urban, suburban and exurban creep are overtaking a greater percentage of surface stations than they are overtaking the surface of the earth. FOX Congratulations: you mentioned Anthony Watts. Congratulations on conquering the wilds of Nevada! As a proud member of the Surface Stations Team, concentrating my efforts in the remotest parts of Oregon (so far, I’ve captured only Paisley; Anthony beat me to Bly), I thought last Memorial Day I would make a significant contribution by capturing the station next to the spectacular Wheeler County Courthouse in Fossil, only to find it apparently is not on the USHCN list. What a disappointment!!! So, what’s up with that, anyhow? I’ve got beautiful pix and no place to post them!!! Anyhow, now that gas prices have dropped, I won’t be so reluctant to fire up the SUV and head across the Cascades to such garden spots as Moro, Condon, and Hermiston. Gotta do what I can to shake off this global winter . . . .
at this rate it will be above anomaly probably for 2009. Is this not the fastest rate of recovery ever? This was posted yesterday. Apparently now water vapor is the main cause of global warming and it amplifies the effects of Co2 :( sheesh. if this ain’t a picture of a massively cooling world I don’t know what it is.. Thanks for the answers. And how could one quantifiy the ratio between direct atmosphere heating (through heating systems, industry, combustion or whatever) and indirect contribution (due to an increase in CO2). It just keeps getting worse. This is funny! “If Iceland’s glaciers melt, sea level will rise 200 feet.” LOL!! GISS’s blunder, ClimateAudit and WUWT also got much rant on the Mark Levin show yesterday (at about 42 minutes). When I read this article, I immediately thought that the “news” crew at the Onion were at it again. Beware of insects with fur coats. Joshua Tewksbury, assistant professor of biology at the University of Washington, said: “What we found was that if we use climate models to move the climate forward and ask how are they going to do in the future, the insects living in the tropics are already living in climates that are quite warm compared to what they want to live in. Unlike temperate areas such as the UK, where there are more defined seasons, there is little way insects can escape the heat in tropical regions by adapting. “If you warm up a tropical rain forest by 4C, it’s warmed up all year long, so there’s no way they can hide,” Prof Tewksbury explained. And unlike warm-blooded animals, cold-blooded organisms cannot regulate their body temperatures by growing a fur coat when it is cold, or shedding it when it gets warm. They are limited to seeking shade when it is too hot or burrowing into the soil. If it is still too hot in the shade they will not be able to survive. No need to post this to your blog. Not sure how else to get the info to you. It may not fit into this item either. Just an FYI. BTW – Your recent info on the Russian Temp anomalies is very interesting. Congratulations on the great work you are doing. You may find the info at the link below to be interesting, as I did. The extraordinary conclusions of the Epica 2008 “Quaternary Climate” scientific conference in Venice (Nov 10-13, Venice, Italy) have elicited little interest in the media. Need to change my global warming wardrobe to a global cooling wardrobe. Global warming (i.e, the warming since 1977) is over. The minute increase of anthropogenic CO2 in the atmosphere (0.008%) was not the cause of the warming—it was a continuation of natural cycles that occurred over the past 500 years. OT, but Prof Philip Stott is always worth a read. Not forgetting that weather is not climate, except of course when it is warmer weather, which is AGW. You can download two PDF files with his complete response to EPA. HE NOT ONLY ANSWERS THE QUESTIONS BUT ALSO QUESTIONS THE QUESTIONS! The ANPR is one of the steps EPA has taken in response to the U.S. Supreme Court’s decision in Massachusetts v. EPA. The Court found that the Clean Air Act authorizes EPA to regulate tailpipe greenhouse gas emissions if EPA determines they cause or contribute to air pollution that may reasonably be anticipated to endanger public health or welfare. The ANPR reflects the complexity and magnitude of the question of whether and how greenhouse gases could be effectively controlled under the Clean Air Act. The document summarizes much of EPA’s work and lays out concerns raised by other federal agencies during their review of this work. EPA is publishing this notice at this time because it is impossible to simultaneously address all the agencies’ issues and respond to the agency�s legal obligations in a timely manner. Key Issues for Discussion and Comment in the ANPR: Descriptions of key provisions and programs in the CAA, and advantages and disadvantages of regulating GHGs under those provisions; How a decision to regulate GHG emissions under one section of the CAA could or would lead to regulation of GHG emissions under other sections of the Act, including sections establishing permitting requirements for major stationary sources of air pollutants; Issues relevant for Congress to consider for possible future climate legislation and the potential for overlap between future legislation and regulation under the existing CAA; and, scientific information relevant to, and the issues raised by, an endangerment analysis. EPA will accept public comment on the ANPR until November 28, 2008. See EPA ANPR for details and directions. (1). EPA seeks comment on the best available science for purposes of the endangerment discussion, and in particular on the use of the more recent findings of the U.S. Climate Change Science Program. (4). The Endangerment Technical Support Document provides evidence that the U.S. and the rest of the world are experiencing effects from climate change now. The window will close on comments November 28, 2008 and decisions will be made that we may have to live with for a long time. We can only do our best to ensure we have a say and maybe some influence on those decisions. Though the responses I sent were relatively long, they need not be. Short pithy comments that address one or more of the questions with relevant documentation to papers and peer review or just data can be just as if not more effective. Thank you for whatever you do. Great photo of Highway 50, one of my best trips was driving down that road.